When you have a larger business, particularly a business ona unique property, choosing a sign that not only highlights the location of the business but also adds to the overall curb appeal is an important choice. Monument signs, which can be of various sizes, shapes and designs, have always been a top consideration when large outdoor signage is required. Housing developments, neighborhoods, parks, entertainment venues and any other type of commercial property may also benefit from these signs, which are a perfect option to get attention and to also highlight what is important. The typical monument type of sign is designed to be at about eye level for an adult. They have a base that is designed to conform to the shape of the sign, or in some cases, the sign is mounted directly to the base of the monument. 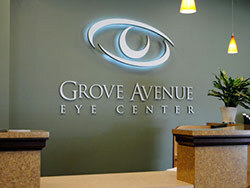 The base becomes a component of the sign, and it can be as original as the sign itself. Depending on the design and the theme of the sign, most monument signs will be made of natural materials. This can include natural stone, brick, wood or combinations of this material. There are also newer styles and designs of this type of sign that are made out of metals or plastics that are very durable and allow for great options in shape and style when compared to stone or brick. With any type of monument design, it is possible to shape the monument base and the sign to create a very traditional or a unique profile. Creatively in designs the shape is important, and at Dave’s Signs, we will work with your business, development or commercial property to carefully select the profile, shape and sign size to provide the right look for the property. When choosing monument signs, keep in mind these are really designed for viewing in proximity, not for easy identification of a business or location from a long distance. There are options to enhance the visibility of these signs 24/7. One option we often recommend is to choose an illuminated sign with spotlights on the base, which is a great look and one that allows the sign to be easy to seen, even from a significant distance. Call us at (805) 641-1387 with your questions about monument signs or click here for a free online quote now.